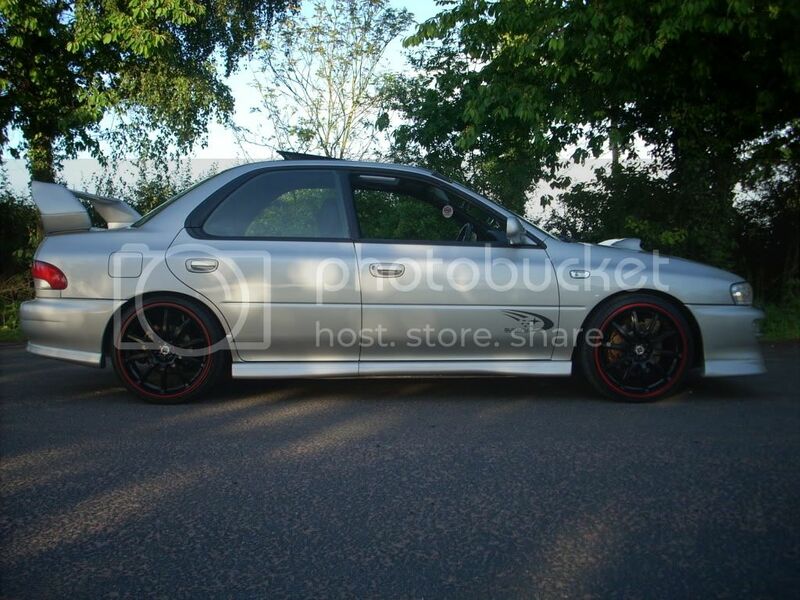 hi all my wrx so far its a bit marmite but gets the right attention!! will come to a meet soon i promise!! yeah the old detango to start with but then got carried away with the satin black!! thats what i want to do is fairly easy. yeah removed tiny phillips screws around back edge of light then put in oven!! when hot enough the lens prizes away cos the glue has gone soft in the heat. when painted eat again to get glue soft and push lens back on and do up screws. then heat again a little to ensure it seals. jus keep trying to prize the lens cos if you leave it too long it might start to melt! Last edited by stevros; 31 August 2010 at 09:39 PM. That actually looks pretty good! lol! How come you've split the spoiler? i no i'm a bit weird (no comments please!!) 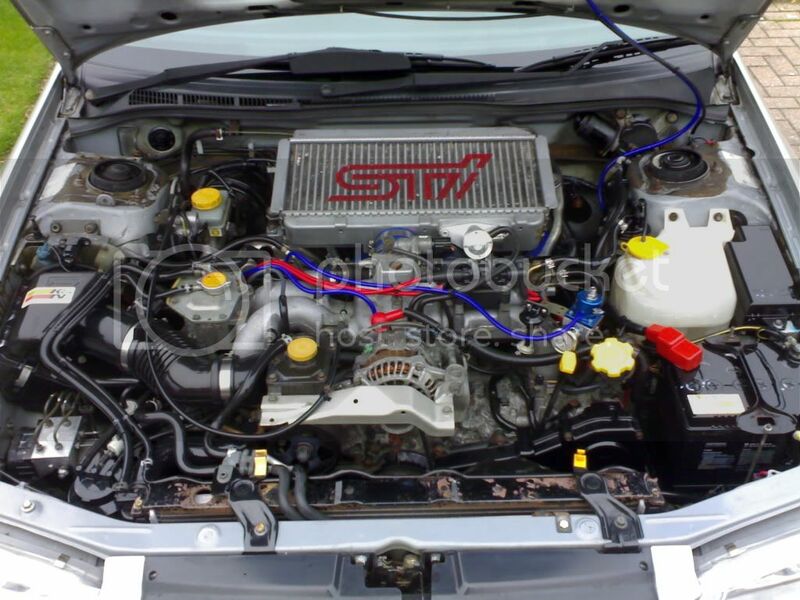 but i kinda like just the bottom half left on the car if the holes filled and maybe the tops rounded a bit? anyone else? 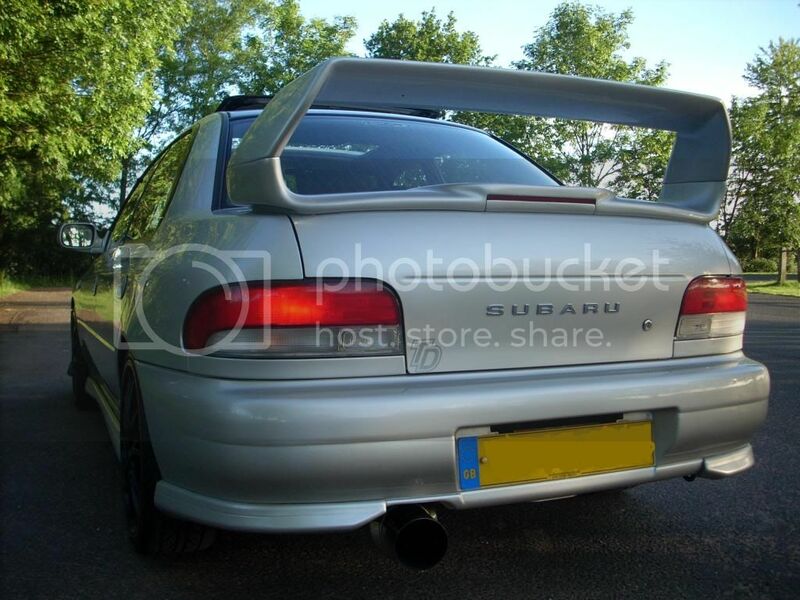 i no some people say its the scoop and spoiler that make it a scooby but at the same time thats why they all look the same!! i wanted to be different and so lost the spoiler but noticed everyone only really has the roof spoiler with a boot spoiler so i thought again i'll be different and put one on without it! now a few popping up without spoilers so i thought i'll lose the scoop next!! 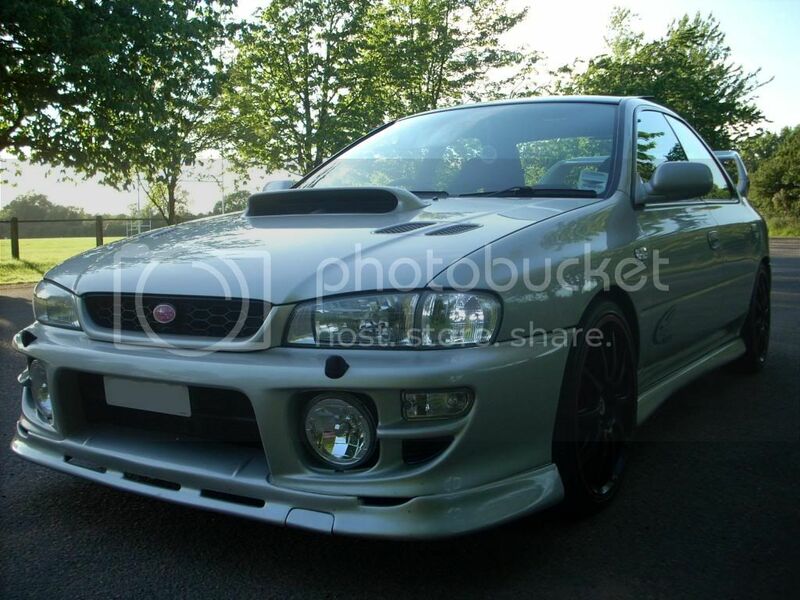 i no its not the typical scooby look but thats the whole point!! tbh most people seem to like it! Changed the front upper and lower grills to Zunsport and just got my 18" Team Dynamics Mondza's fitted. Go Well with me stickers me thinks. Any thoughts? Can we tempt you with a pair of nice gold WMI stickers Carlh? Thanks guys. Yep, I'll have some goldie WMI stickers, for the rear driver and passenger windows me thinks. Any chance I could pick them up next week on the 12th when I convoy with you all H, I could do the form filling if thats easier ? The missus laffs at me coz Ive built up a "wish list" lmao. I need interior mats too, just got some cheapos in there at the moment. Wanted to do up the outside first, but Im getting there.